Is Ezra Succumbing To The Dark Side In New 'Star Wars: Rebels' Clip? Is Ezra Succumbing To The Dark Side In New ‘Star Wars: Rebels’ Season 3 Clip? Star Wars: Rebels has become quite the series. What started off as a simple Disney XD Star Wars show has become an important addition to the SW canon. Fans, including myself, can’t get enough of the adventures of Ezra Bridger and his rebel companions! The series, set between the events of Star Wars: Episode III and Episode IV, will be headed into its third season on September 24. 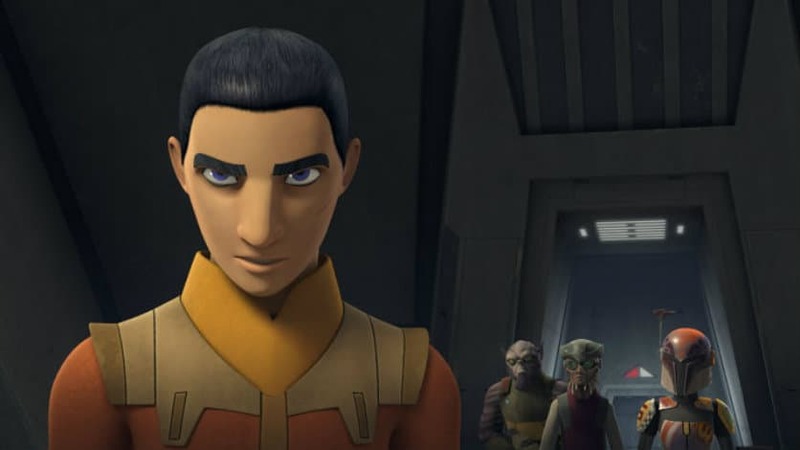 The new season will see protagonist Ezra Bridger dealing with his powerful force powers, which are just growing more and more lethal as time goes on. A new clip features Ezra using his deadly force powers to mind control the pilot of an AT-ST into shooting his fellow Stormtroopers. The scene is surprisingly dark for a Disney show, as you can clearly see Ezra manipulating a trooper into killing his allies. Ezra, like several young force users before him, is still getting the hang of his powers, and is struggling to keep away from the tantalizing power of the dark side of the force. This clip from season 3 may be signaling a dark turn for Ezra. The episode title, “Steps Into Shadow”, only strengthens any suspicion about Ezra’s force alliance. You can watch the season 3 clip below. Here’s hoping Ezra can keep away from the dark side, and stay with his friends in the Rebel Alliance. Star Wars: Rebels returns September 24 on Disney XD. Love the show!!! But it does look like Ezra will tirn to the dark side!